On Thursday, 4 April, the Higher Planning Council of the Civil Administration convened and approved 28 plans for the construction of at least 3,659 new housing units. Of which at least 2,656 housing units (73%) in settlements that Israel will likely have to evacuate within the framework of a permanent agreement (east of the proposed route of the border suggested by the Geneva Initiative). Regarding five of the plans, Peace Now does not know the number of housing units approved, but according to the announcement issued by the Civil Administration, there are 339 additional housing units. It is important to note that the Civil Administration counts all the housing units that were approved, whereas Peace Now only counts the new units, i.e units that were not in the older plans, so that the number of new housing units approved in the 5 plans may be less than 339 units. 1,226 new housing units were approved for validation (final approval), and at least 2,433 additional housing units (+ the 339 units) were approved for deposit. Among other things, a plan for a new settlement was approved by the retroactive legalization of the illegal outpost Harsha (720 housing units) after the Attorney General approved the expropriation of Palestinian land for the purpose of a road to the settlement. 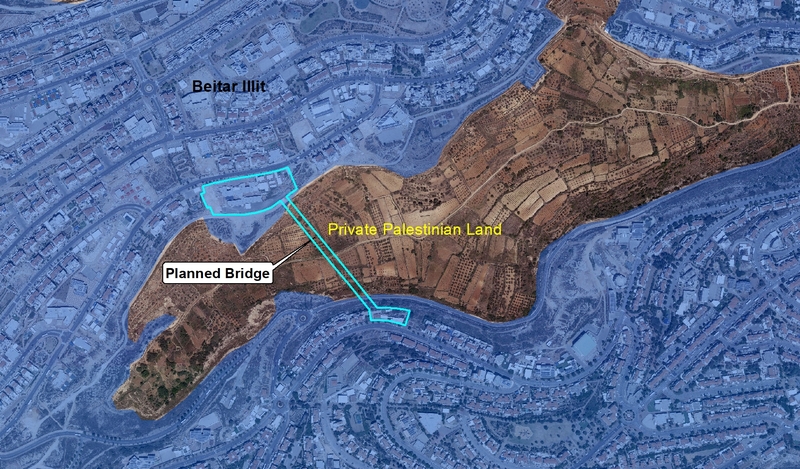 Another plan that effectively expropriates Palestinian private land is a plan to build a 370-meter-long pedestrian bridge between two parts of the Beitar Illit settlement on top of private Palestinian land. The Attorney General approved the expropriation of the area above the land for the convenience of the settlers, who do not drive on Shabbat and need to walk a long walk in order to pass around the private land of the Palestinians. 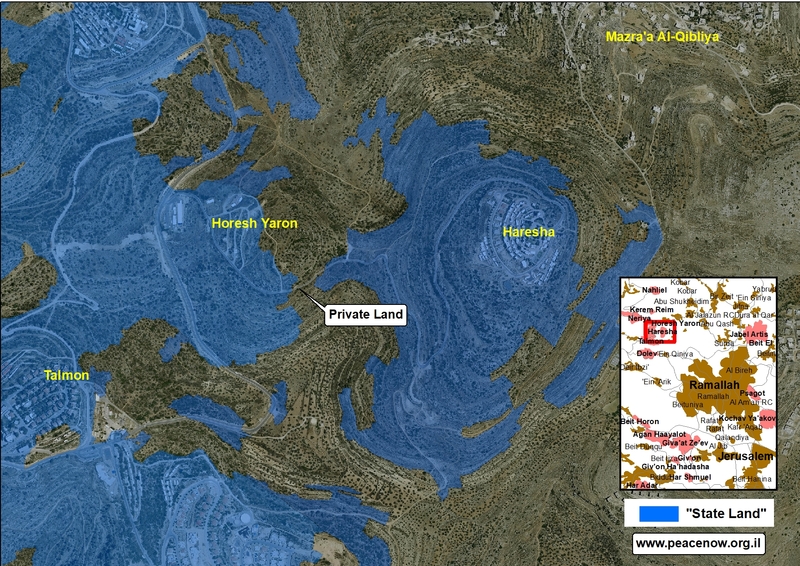 In addition, a plan was approved for the legalization of illegal construction in Sde Bar east of Bethlehem. Sde Bar was established as an illegal outpost and was retroactively legalized as an educational institute, but in recent years a new residential neighborhood was built there illegally. In addition, 289 new housing units were approved for the expansion of the Alon settlement near Khan al-Ahmar. Some of the tenders are for units that were published in previous tenders but were not sold. The new tenders mean that the government is currently seeking to promote and build those units although failed to do so in the past. Peace Now: Netanyahu has decided, officially or unofficially, to annex the West Bank to Israel, otherwise one cannot explain the promotion of thousands of units for Israelis in the Occupied Territories. The construction of the settlements only makes it harder to end the occupation and to get to a two states peace agreement and is bad for the Israeli interest to remain a democratic and secured state.